Why are Eumundi and Friends the best books for kids, aged 6 to 8 years? 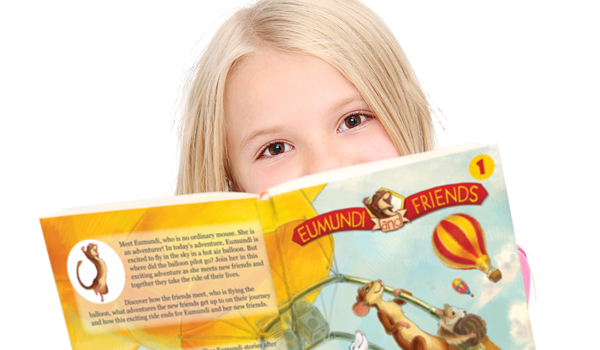 Eumundi and Friends books are great for 6 to 8 year olds with engaging storylines and beautiful, quality illustrations. Being quality short stories for kids with morals, these books have age appropriate content and loveable characters, ideally suited to 6 to 8 year old children. You and your family are sure to fall in love with Eumundi and Friends. Welcome to the World of Eumundi and Friends – Children’s adventure stories! This wonderful series of children’s stories is full of adventures and life lessons. It was born out of our family’s personal adventures and imaginary scenarios. 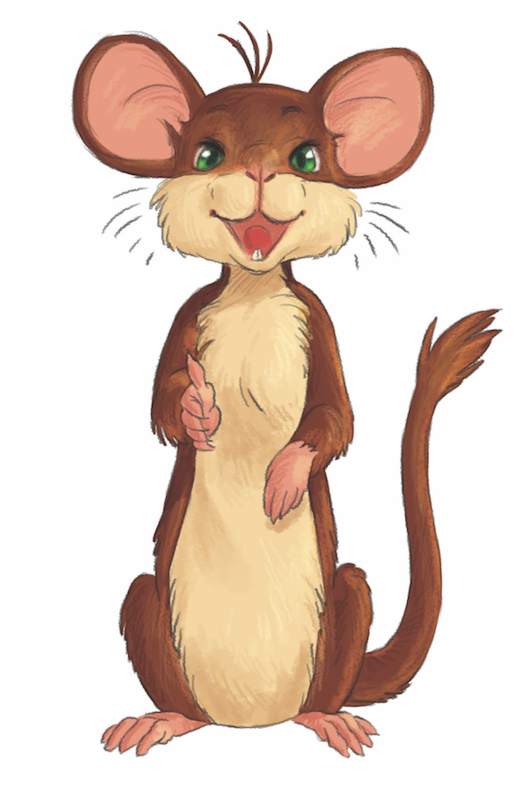 It all began when our four-year-old daughter Kristen found the cutest toy mouse at Eumundi Markets in Queensland, Australia. Stuart began telling Kristen stories about Eumundi and Friends adventures. The tales of Eumundi’s adventures grew out of Stuart’s love for our daughter, his love of life and his strong belief that a person can do anything they set their mind to. Wanting to encourage a spirit of adventure in Kristen, he told her stories of all the amazing adventures Eumundi and her friends had. Over time, he began writing some of the top stories down, to keep them for all time. He and Kristen have had a wonderful time over the years drawing pictures, discussing details of the stories and coming up with more crazy adventures for the friends to embark on! In 2014, our family decided it was time to bring these stories to the rest of the world. The stories are so much fun and we thought other children and families would enjoy the adventures also. While Stuart and Kristen have always been the main storytellers, Rosemary (Stuart’s wife and Kristen’s mum!) has always enjoyed being part of the “Eumundi team”. When we decided to produce books, Rosemary naturally took on the role of editor. In 2014, when we began our journey to publish the books, we knew very little about website design, Facebook or producing books, but we were excited about what we could give to others, so we took on the adventure and here we are today! It has been a wonderful journey of discovery that has brought us to this point – a website, a Facebook page and nine books (almost! ), with more stories well underway! This is truly a “Eumundi Adventure” of extraordinary proportions for our family – we hope your family enjoys the stories as much as we have enjoyed bringing them to you! The current book count is four published books, with new ones emerging all the time. Each adventure takes place in Australia, and Stuart and Kristen work to keep the details of the locations as true to life as they can… Although, the adventures themselves are definitely a product of their wonderful imaginations! The book series is more than just adventure stories. Stuart is an accomplished chef, and a “Eumundi Cookbook” is in the works, as well as other interesting reads. Kristen and Rosemary are both accomplished musicians, so keep an eye out for some Eumundi songs! So please poke around the site! Get to know the authors, the characters and the incredible published books. Don’t miss the stories behind the stories, to learn where in Australia these stories take place, and also to learn about our family’s adventures that led to the creation of each story. 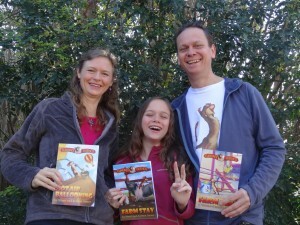 Please visit our Blog tab for the latest news on Eumundi and Friends and the Authors, Stuart and Kristen Anner. Make sure you visit our site regularly, as we will be adding our news and updating as new books are ready for you! Again, thanks for visiting and enjoy!